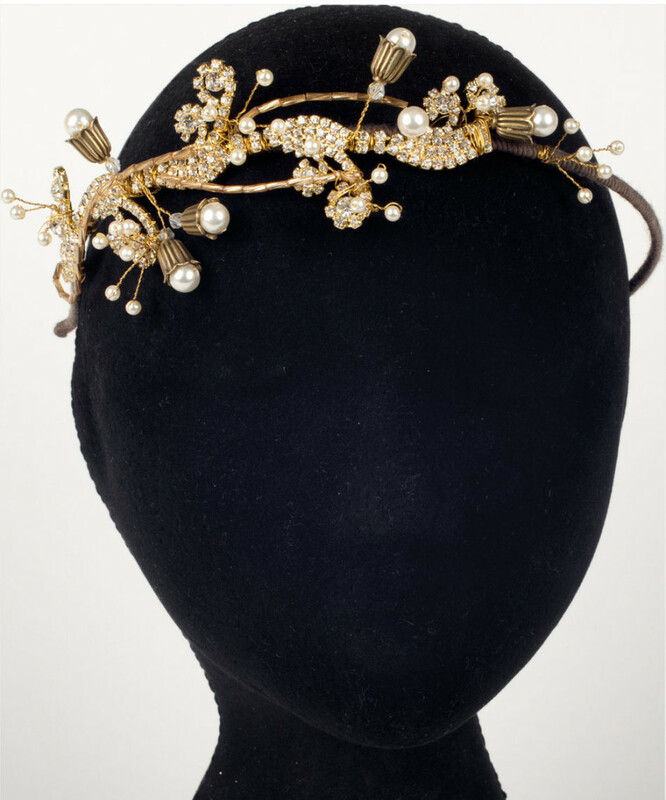 This headpiece features a golden claw-set Crystal Charm with rustic Brass Flower Bud and Swarovski Bicone Beads. It has beautiful ivory glass pearls and golden twisted bugle beads. 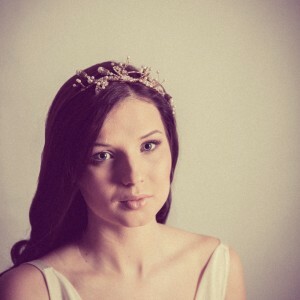 It has been lovingly hand-wired in gold-plated wire, and can be as a headband (as pictured) or flexible and bendable Hair Vine – please specify which you would like. 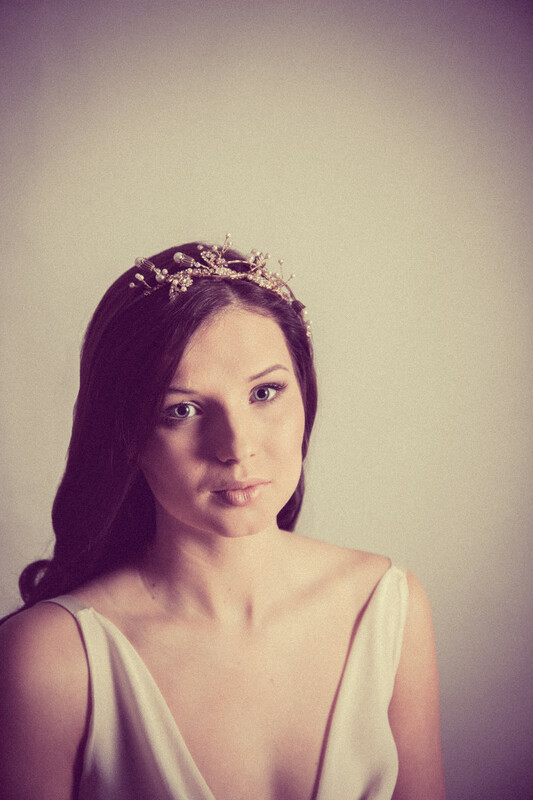 The headband/vine is then wrapped in soft Merino Trim and can be matched or contrasted to your hair colour depending on your desired look. The Embellishment measures 18cm long & 6cm at it’s widest point and it will be presented in a beautiful giftbox to treasure forever.